Part of the Connect Workshop Consumable electrical connector range. 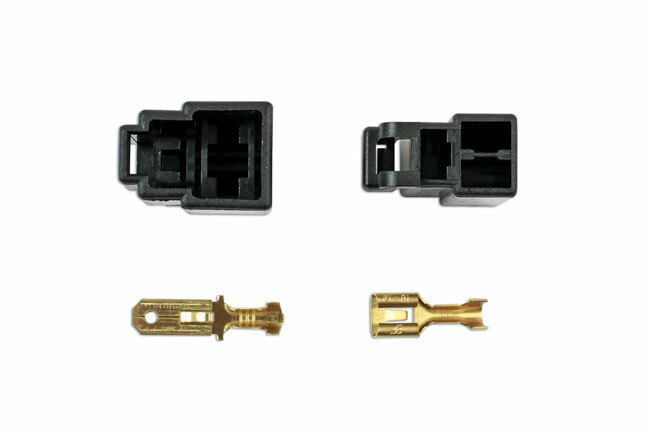 These connectors are widely used in the automotive industry with various applications. Wire to wire connector & wire to device connector. Terminal locking is secured by a secondary lock on the connector block housing. Full range of electrical connectors available. For a professional crimp please use our Laser Part No 7314. 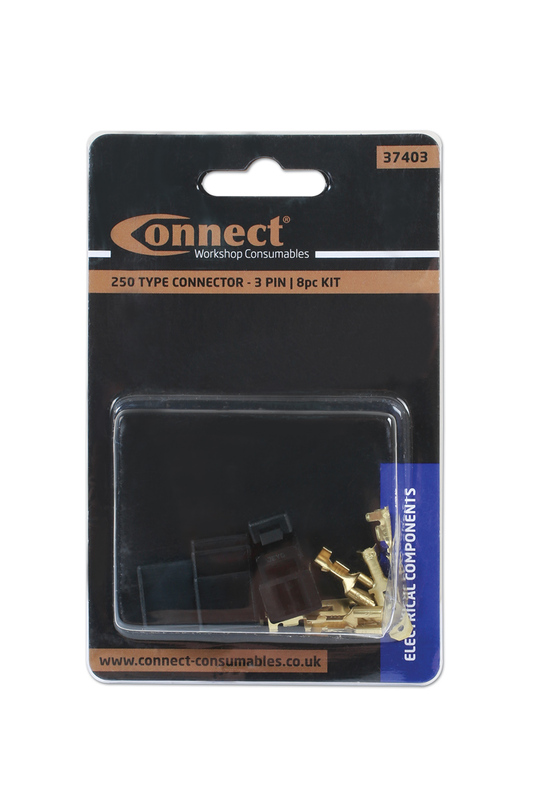 3 Pin electrical connector kit which contains the male & female connector plugs along with 250 type non insulated terminals. 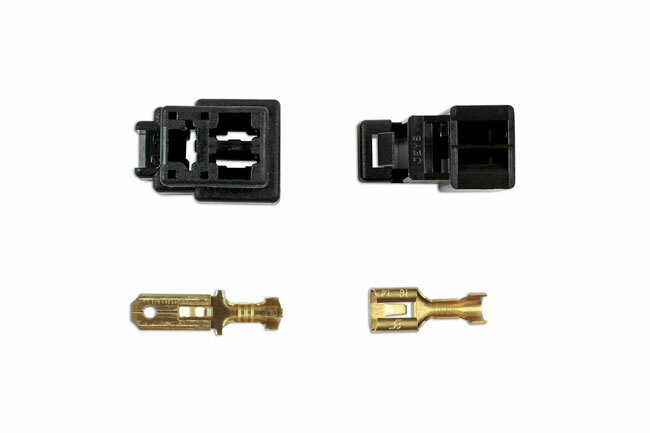 Contains 1 x male connector, 1 x female connector, 3 x 250 type male blade terminal & 3 x 250 type female terminal. Black housing material PA66/PP. Operating temperature -40 ~ 120°C. ROHS Compliant. 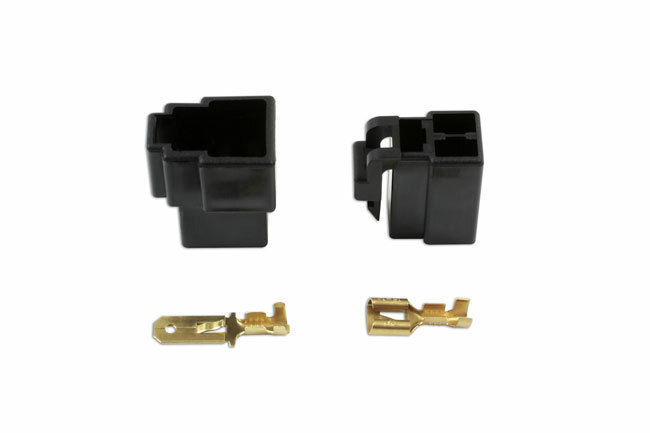 Brass terminal suits 1.5mm² - 2.5mm² cable (AWG 14-16). Top up blister from 37400 assorted box of connectors.